Employment Law Archives — Aiello, Harris, Marth, Tunnero & Schiffman, P.C. When the University of Medicine and Dentistry of New Jersey and Rutgers University merged, Rutgers inherited the legal problems that faced the medical school. Last month, Rutgers settled the last of two high-profile cases that highlighted the rights of whistleblowers. Both of these lawsuits charged UMDNJ with wrongful termination following accusations of fraud and illegal bidding practices. In total, New Jersey whistleblower discrimination attorneys won almost $2 million for the two former employees. In 2014, Rutgers reached a $700,000 settlement with Eileen Casey. Ms. Casey was a purchasing official with UMDNJ who claimed that she was wrongfully terminated after she discovered that millions of dollars worth of telecommunications contracts were being awarded without public bids. In the second case, Edward Burke, former chief financial officer of UMDNJ’s University Hospital in Newark, claimed he was terminated after he accused top UMDNJ administrators of defrauding Medicaid. In early April, Rutgers settled with Mr. Burke for $1.2 million. Although Rutgers has imposed tight restrictions on the disclosure of terms of the settlements through attorneys in the cases, the details of both settlements are available through the Open Public Records Act. Are whistleblowers protected under New Jersey law? Under the Conscientious Employee Protection Act (CEPA), employees who report illegal or unethical behavior at their workplace are protected from retaliatory actions. In other words, if you report such illegal practices as discrimination or fraud, or refuse to participate in fraud or illegal behaviors at work, you cannot be fired, demoted, or face other negative consequences. Examples of fraud might include misrepresentation to, any shareholder, investor, client, patient, customer, employee, former employee, retiree or pensioner of the employer or any governmental entity. Additionally, the law prohibits employers from retaliating against employees who participate in investigations or legal cases involving illegal actions taken at the company. Whistleblowers should not be afraid to speak up if they witness wrongdoing at work. A skilled New Jersey whistleblower discrimination attorney can inform you of your rights and help you understand what you should do if you are a witness to misconduct. For more information, contact Aiello, Harris, Marth, Tunnero & Schiffman, P.C. online or at (908) 561-5577. The 1099 form and the W2 are two types of tax forms. The form you should fill out depends on the type of employee you are – contract or full time. A New Jersey employment law attorney can help you understand which form is right for your specific circumstance. The W2 tax form is for full time employees. It automatically deducts payroll taxes from the paycheck and sends them directly to the government through your employer. W2 employees typically receive benefits such as health care packages, pension plans, unemployment insurance, and paid time off. The 1099 form is for independent contracts or freelance workers. Contract workers are responsible for their own payroll taxes. They are also responsible for their own health care. Employers may have financial benefits to hiring more contract employees instead of full-time staff. They are not required to provide benefits for contractors, and many contractors work off site and provide their own equipment. In general, you are a contractor if you have direct and total control over how your work is accomplished. Have I been misclassified as an independent contract? If your boss determines such aspects of your employment as how you perform your job, what hours you work, what location you work in, what equipment you use, and more. If you are unsure of your status or feel that your employer is taking advantage of you, contact a knowledgeable New Jersey employment law attorney at Aiello, Harris, Marth, Tunnero & Schiffman, P.C. online or at (908) 561-5577. Dealing with the government is almost never easy, even under ideal circumstances. It is also a chore that becomes infinitely more difficult when you have been injured and are trying to file a claim against the government to recover compensation. The fact is that there are significant differences in liability between public and private entities, differences that must be understood and carefully researched on a case-by-case basis. 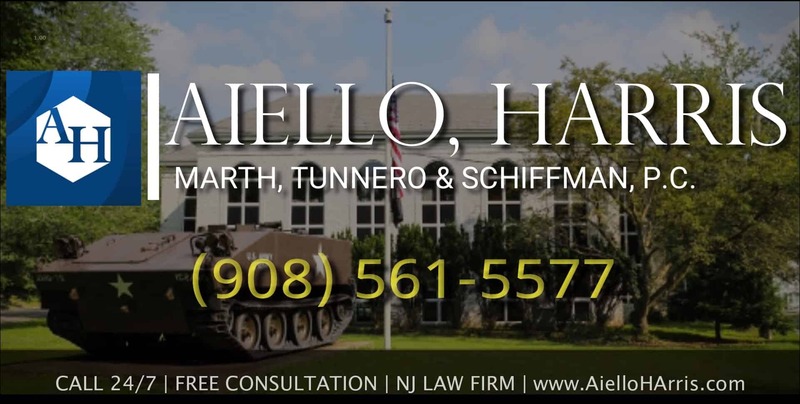 At Aiello Harris, we represent families and individuals in Somerset County, Union County, Middlesex County, Hunterdon County, Essex County, Morris County, and throughout New Jersey in bringing lawsuits against the government. These cases can be very complex and difficult to pursue and there are several important things you should be aware of. Local, county, and state liability in New Jersey is governed by a maze of unique rules and it is the New Jersey Tort Claims Act that defines the liabilities governmental entities have. One very important thing to know about this legislation is that a public entity will only be liable when the State legislature has passed a statute allowing liability for the act in question. To file a claim against a state agency or local government entity, a Notice of Tort Claim must be submitted to the proper department of the entity within 90 days of the accrual of the cause of action (i.e., in almost every case within 90 days of the date of the government claims attorneys/incident). If the claim is not filed within 90 days, with few exceptions, it is barred by law. The 90-day limit to file a claim applies to all claims for damages against government entities and will usually apply even if you are unaware that a potential defendant is a governmental entity. The claim must present the basis or facts upon which you believe the government entity owes you monetary damages. 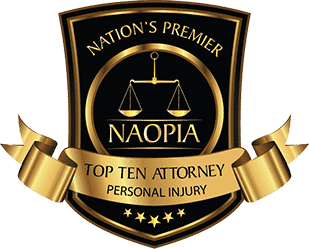 It must also explain any injuries you have sustained and the names of any public entity employees or agents you feel are responsible for your injuries. The filing a Notice of Tort Claim does not relieve the injured person from still having to file a complaint for personal injury. 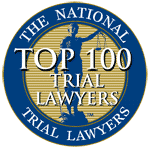 The New Jersey Tort Claims Act also requires that the person injured sustain a permanent injury as defined under the statute and relevant court decisions. Because of the unique rules and requirements involved in filing a claim against the government, hiring an attorney who can easily maneuver through the twists and turns of the legal system as well as the bureaucratic red tape and government attorneys, can make a significant difference in the success of your claim. Our firm has the kind of knowledge, experience, resources, and most importantly, the determination to prevail that produces outstanding results. For a free initial consultation and answers to your questions about how to file a claim against the government, call Aiello, Harris, Marth, Tunnero & Schiffman, P.C. 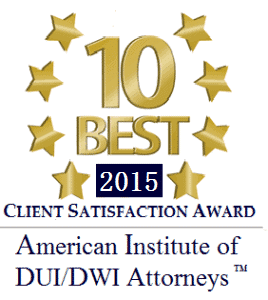 at (908) 561-5577 or contact us online at any of our New Jersey law offices. Were you terminated or otherwise treated unfairly at your job due to your age? In New Jersey, discriminating against workers because they are too young or too old is illegal. Federal laws, in addition to the New Jersey law Against Discrimination (LAD), allow you to pursue legal action if your rights have been violated. But what evidence do you need to show to prove your case? Our NJ age discrimination lawyers explain the basics of filing a valid claim in New Jersey. Prima facie refers to the bare minimum a plaintiff (you) must present in a lawsuit. Generally, in civil law, it refers to the presentation of sufficient evidence to support your legal claim. In other words, you need to show the court enough proof that you actually grounds for a lawsuit. Since age discrimination is difficult to prove via direct evidence, most courts allow plaintiffs to rely on a burden shifting method of proof. In short, you can present a prima facie case and then the burden of proof shifts to the employer to show that you were not discriminated against. According to federal law, being a member of a “protected class” under age discrimination laws means being over the age of 40. 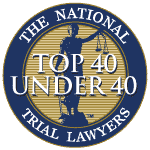 However, under New Jersey LAD statutes, you can be almost any age — however, you may not have a valid claim if you are under 18 or over the age of 70. The hardest part of making your case is proving that age was in factor in your employer’s (or potential employer’s) employment decision. In a more straight-forward case, you would submit direct evidence but in an age discrimination case, you might need to rely on indirect evidence. 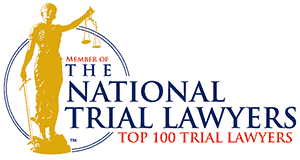 Our NJ employment law lawyers at Aiello, Harris, Marth, Tunnero & Schiffman, P.C. understand filing a lawsuit is overwhelming and confusing. Let us handle everything. Call today at (908) 561-5577 or contact us online to schedule a consultation. In today’s unstable economic client, jobs come and go much more rapidly than ever before. But what if you lost your job under illegal circumstances? There are laws in New Jersey designed to protect employees from being unfairly terminated. Each situation is unique — if you fear you have been a victim of wrongful termination, consult an NJ lawyer with the know-how to effectively evaluate your case. You might be entitled to compensation for wrongful termination. What does it mean to work “at-will”? In New Jersey, most employees work “at-will.” This means you can be fired at any time for any reason — or for no reason at all. However, if you had an employment contract guaranteeing job security, and you were terminated without due cause, you may have a claim for breach of contract. A group employment contract, such as a Collective Bargaining Agreement, may constitute an actionable employment agreement. Exceptions to the “at-will” rule may also include tenured professionals and civil service workers. For example, if you were a tenured professor and were terminated, you might be able to file a lawsuit. Discrimination – Federal and state laws protect employees from being fired on the basis of race, religion, national origin, age, gender, disability, pregnancy, or sexual orientation. Retaliation – You are protected from being terminated for whistleblowing, reporting harassment, being involved in a harassment investigation, reporting illegal activities, and complaining about improper conduct at work. FMLA violations – If you took family or medical leave within your legal bounds, and were let go from your job, it may be a Family and Medical Leave Act violation. ADA violations – It is illegal to discharge a person for requesting a reasonable accommodation for his or her disability. For more information about the statutes that apply to you, speak with a skilled New Jersey wrongful termination lawyer. You’ve worked tirelessly all your life to secure a stable career path. Now that you’ve been unjustly discharged, let us work for you. Call the law firm of Aiello, Harris, Marth, Tunnero & Schiffman, PC. at (908) 561-5577 or contact us online to schedule a consultation with one of our skilled and experienced New Jersey employment law attorneys. Owning a business means crossing every “T” and dotting each “i.” Employers who fail to set forth employee expectations by providing clear-cut, legally-sound employee handbooks, manuals, policies, and procedures leave themselves wide open to controversy and confusion — and, even worse, lawsuits and legal liability. Outline employee expectations. Let employees know what the rules and expectations are. Communicate how a worker is supposed to behave, when the working hours are, how compensation works, and what benefits and awards are available. Employees feel more secure when they understand appropriate boundaries. Define employment status. Are your employees “at-will” employees? What are the rules for contractors and independent contractors? Let your workers know exactly where they stand with no ambiguity. Explain reporting channels. If a dispute or inter-office conflict arises, lay out the proper reporting channels for employees. Explain how to lodge an official complaint if necessary. This is helpful for potential lawsuits, and also lets employees know they have a voice. Provide fair treatment of workers. Workers tend to be happier when they know everyone is being treated fairly and consistently. Having the same policies and procedures for all employees helps prevent future disputes and resentments. Limit liability. If a serious employment dispute arises — such as a claim of sexual harassment or discrimination — and an employee did not follow the set-forth procedures for reporting the conduct, an employer may be able to deny liability in court. What happens when my employer doesn’t have a handbook? Failing to have a manual and HR policies is not illegal — it’s just irresponsible. If your employer does not provide you with clear-cut employment policies, ask what is expected of you. Record any wrongdoing within the company. Save evidence for your own records. Have you been the victim of sexual harassment, discrimination, or other unfair treatment at work? The NJ employment lawyers at Aiello, Harris, Marth, Tunnero & Schiffman, P.C. are here to assist you with all employment-related claims. Contact us today at (908) 561-5577.